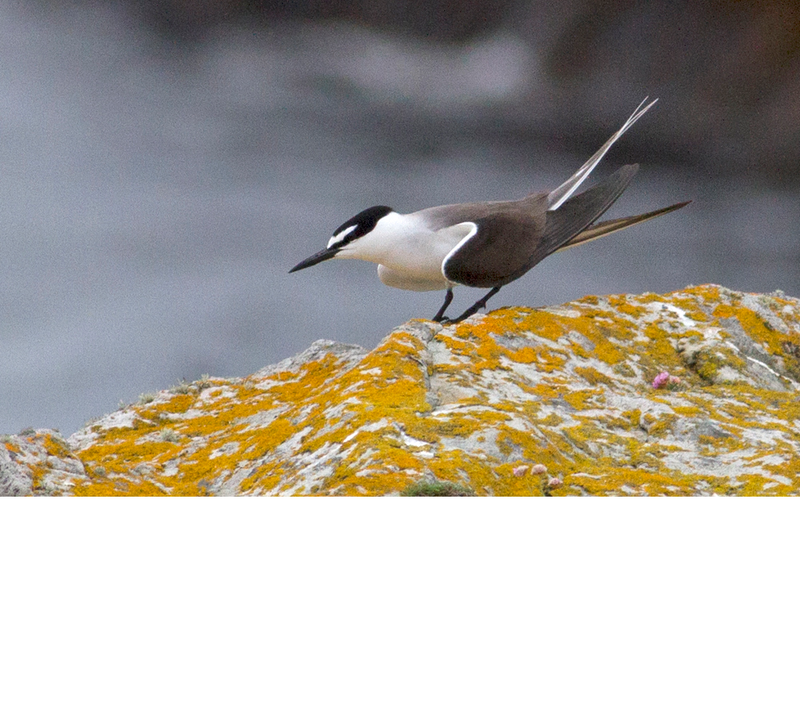 The Bridled Tern remained on the island throughout and drew a few admirers from Shetland, although it became more erratic in its appearances, disappearing from Buness on the morning of 17th and not reappearing until around seven hours later when it was at Shalstane (near South Light, so at the opposite end of the island to its previous appearances). 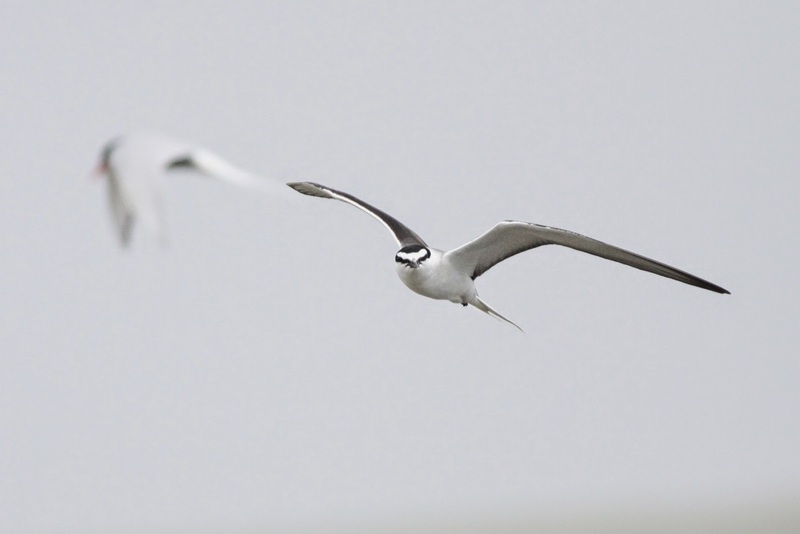 On the 18th it was seen in the morning only (again around Shalstane, although it also took a couple of tours up the island when the fish it was bringing in for the Arctic Terns were spurned) and it wasn’t seen at all on 19th until ex-Assistant Warden Rebecca Nason and Phil Harris spotted it at Shalstane again at about 4pm. 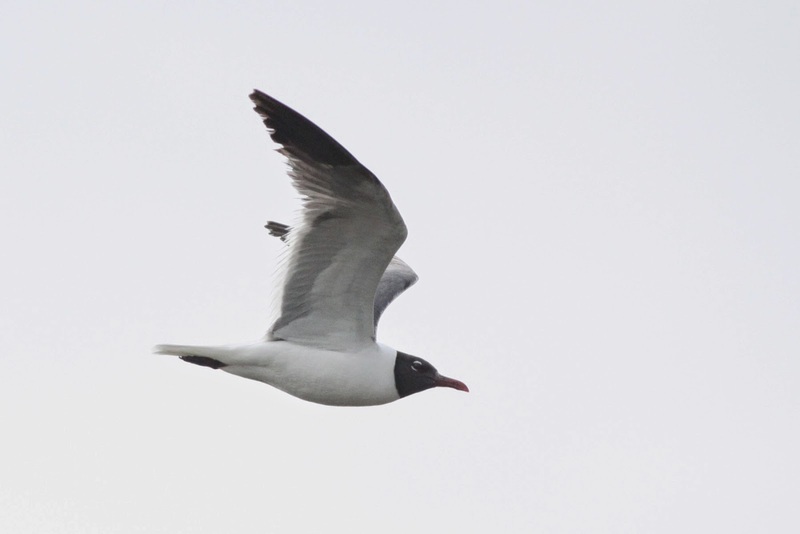 Phil phoned the Obs so we could let our other guests know, then phoned back a minute or so later to tell us that there was also a Laughing Gull there! 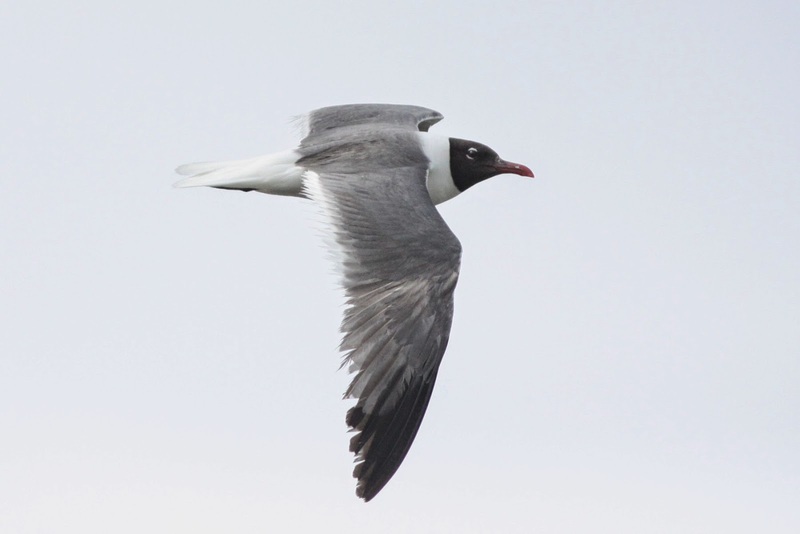 After initially being found in the Arctic Tern flock, the Laughing Gull switched to Kittiwakes for a while, but seemed equally as unimpressed with them and was last seen drifting off east round Meoness, although it may yet reappear. 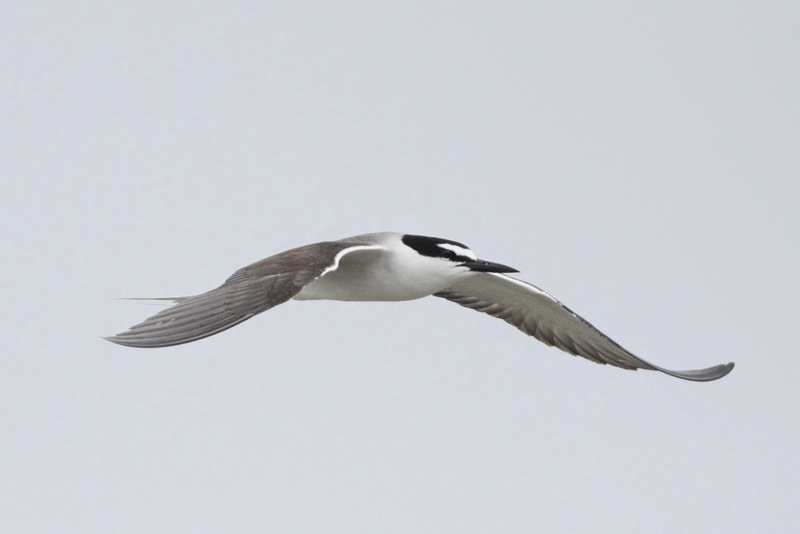 Although not quite in the same league as Bridled Tern, this is still a remarkable rarity; only the 10th for Shetland and the first for Fair Isle since the only previous record in 1975. Susannah has had a tremendously poor run with Laughing Gulls over the years and it looked like her luck was out with this one as well as it has disappeared by the time she arrived. 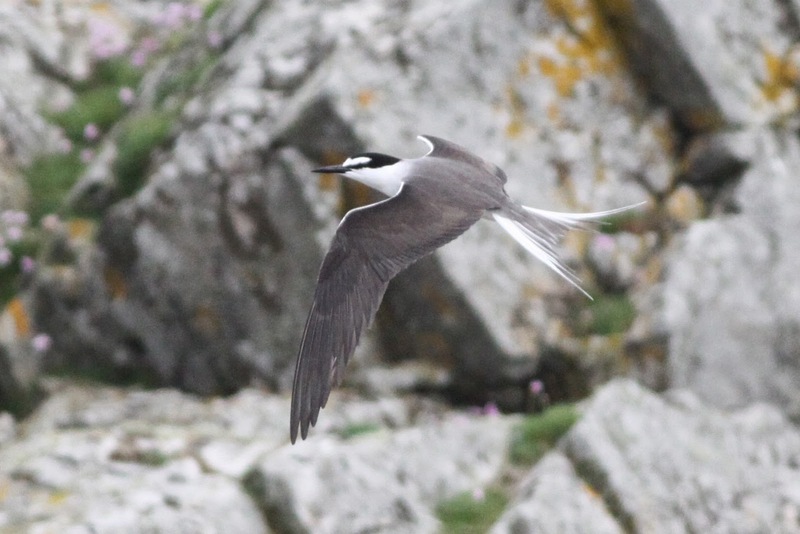 Thankfully, just a couple of minutes later (as we were watching the Bridled Tern sat on Shalstane), Richard picked it up right over our heads. 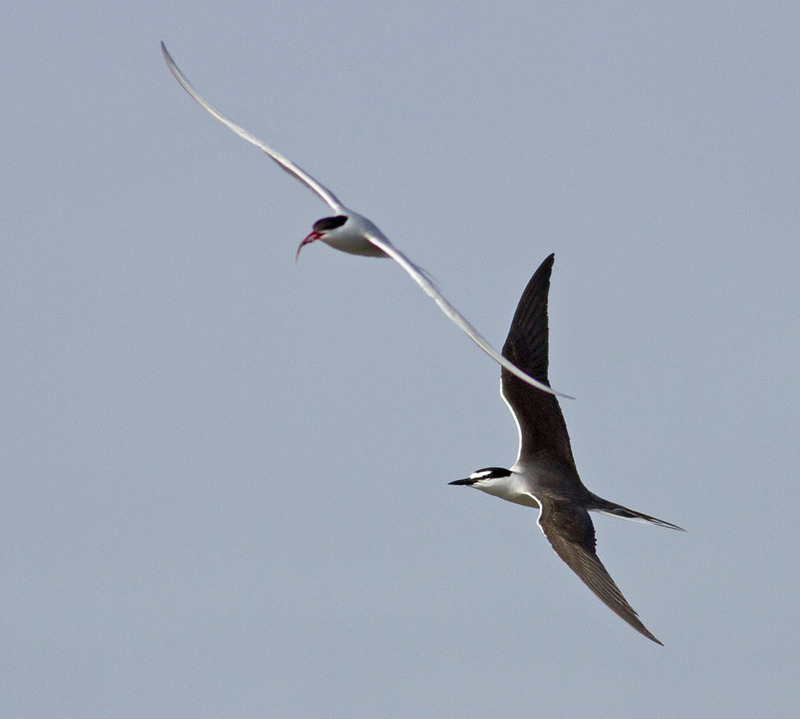 It even called a couple of times - sounding not dissimilar to Bridled Tern! 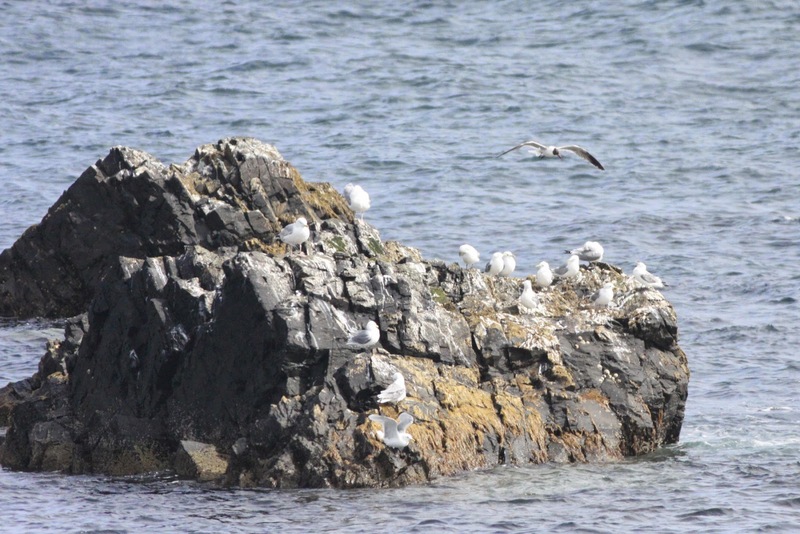 After initially disappearing west past Malcolm’s Head, it thankfully reappeared around the South Harbour and showed to all those on the island who were interested in this smart American vagrant. This really is an amazing spring for Fair Isle, with most folk now agreeing that this has been the best for the island; certainly it’s the best for high quality rarities. Even the last couple of days of strong westerlies hasn’t been enough to stop the current run (although similar conditions in early June 2012 brought a Ring-billed Gull and Hornemann’s Arctic Redpoll, which shows you can never really switch off from the possibility of surprises). There’s not too much else to report really from the last few days (not that we’re complaining with the birds we’ve got! ), just the odd migrant passing through – with all the details here: http://www.fairislebirdobs.co.uk/latest_sightings.html .